This week, I joined dozens of community members to kickoff my 2017 community lunch series, Lunch with Paul, at the newly opened North Hollywood pizzeria, The Pizza Press. The Pizza Press celebrated its grand opening in the North Hollywood Arts District in October 2016. Located at the corner of Lankershim Boulevard and Ostego Street on the ground floor of the new mixed-use Studio 77 development, the pizza shop bustled with patrons as the staff quickly loaded and unloaded the oven with pizzas. Owners Levon and Hilda Setrakian, entrepreneurs with backgrounds in business, fell in love with the 1920s themed pizza franchise for its great selection of food and beer. Diners get to "publish" their own pizza or choose from the menu of options, including vegan and vegetarian options. The restaurant's team of employees is excited to serve the North Hollywood community. The Pizza Press is just one of the many incredible local restaurants in the East Valley that's helped the area's growing reputation as a food destination, drawing foodies and diners from across LA. 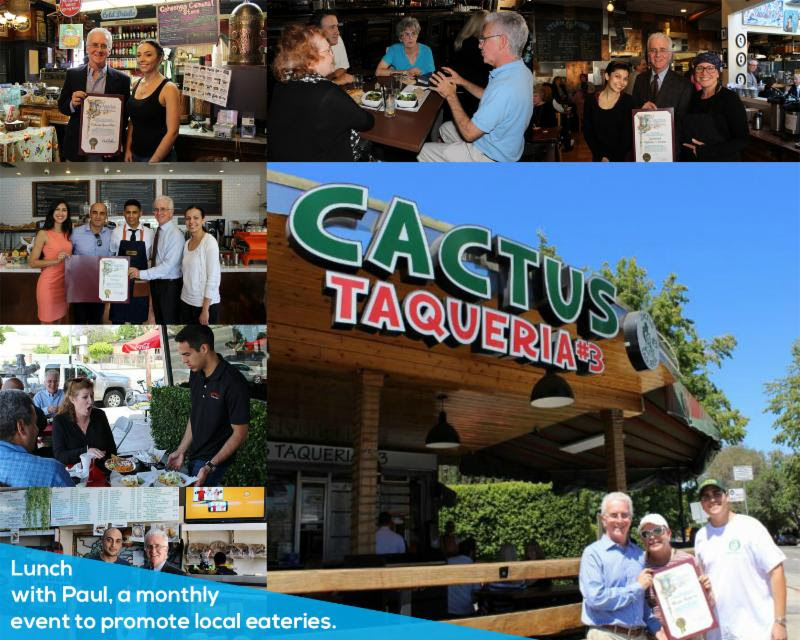 Since launching my community lunch series, hundreds of community members and I have visited more than 15 local eateries throughout the East Valley to support local businesses that continue to contribute to our neighborhoods and boost our local economy. More importantly, the community event is the perfect opportunity to share news about important things happening in the community, get answers your questions and make new friends. Do you have a suggestion about where the next Lunch with Paul location should be? Are you a restaurant owner who would like to host the a Lunch with Paul event? You can contact me here: paul.krekorian@lacity.org.